Seventh Generation produces household and personal care products meant to protect your health and the environment. They've been in business since 1988 and have a large range of different products for personal and household use. Seventh Generation's products are designed to be both environmentally friendly as well as safe for your personal use. LoveToKnow Green Living was sent these products to review from Seventh Generation by request. 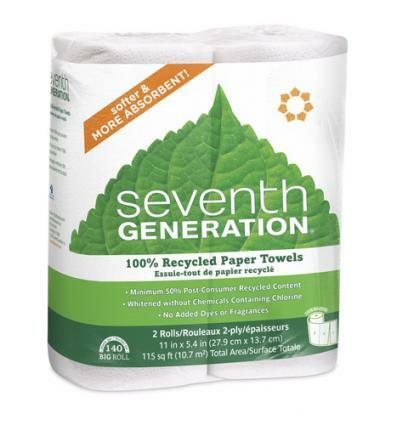 Seventh Generation's paper towels are unbleached and made of 100 percent recycled paper with 80 percent post-consumer recycled fibers. The unbleached fibers both save energy during the production process and help protect you from chemicals that could remain behind on the paper towels after production. The towels have no added dyes, fragrances, or chemicals. The towels are completely hypoallergenic and safe for use on people with sensitive skin. The two-ply towels hold up very well to cleaning and scrubbing. The towels do not fall apart even when subjected to scrubbing rough surfaces like carpeting and textured wood surfaces. The towels could be more absorbent; it takes several towels to wipe up a moderate water spill, which is wasted product. 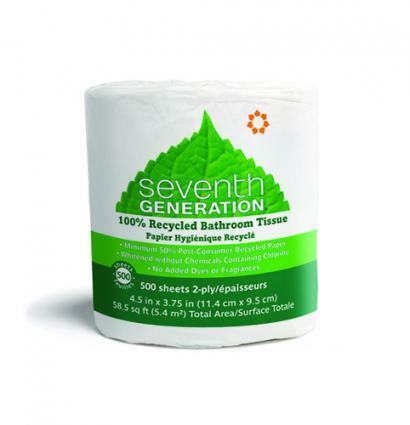 Seventh Generation's toilet tissue is 100 percent recycled with 80 percent post-consumer recycled fibers. The tissue is unbleached and safe for septic tanks. Using unbleached fibers means you aren't applying chemicals to your skin with each use. The tissue is completely hypoallergenic with no dyes or fragrances. The tissue breaks up very quickly in water, which means it will not negatively affect the septic tank in any way. The paper on these tissues is very rough and abrasive. Although absorbent, they break down very quickly, meaning you may need more of them than other brands. 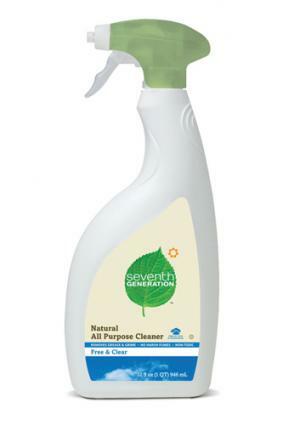 Seventh Generation's Natural All Purpose Cleaner is made to be used anywhere in the home. It's non-toxic with no harsh fumes, dyes, or fragrances. The product is safe on many surfaces, including natural stone, so it can clean granite counters and vanity tops. It is made of plant-based and plant-derived cleaning agents so there are no VOCs. There is no scent or fumes at all; it will not irritate those with allergies or asthma. It cleans very effectively, removing dried juice, grease, soap scum, and toothpaste with little scrubbing. The product has a tendency to leave streaks behind on some surfaces unless rubbed completely dry. It cannot be used on some metals or wood surfaces, which can be difficult when using it in small spaces like bathrooms that have mixed materials. 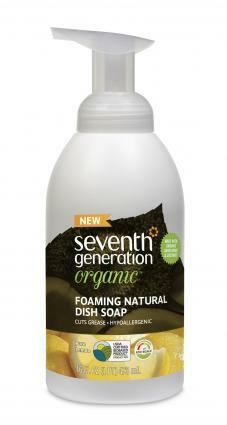 Seventh Generation's Organic Foaming Natural Dish Soap made of 95 percent certified bio-based product, including organic sunflower and coconut. It cleans even dried on grease and pans very quickly and effectively. The product has a light, natural lemon scent that is not overpowering. The light foam rinses away very quickly. The pump dispenser yields enough foam per pump to scrub a large dinner pan easily. It works slightly better if you apply it right to the pan than to the sponge; you will need approximately one pump per pan to get the dishes clean as it will not remain on or in the sponge for long. Seventh Generation's products work well without the chemicals, fumes, VOCs, dyes and fragrances found in many other products. If keeping a greener home is important to you, be sure to look for their products in your local grocery store.